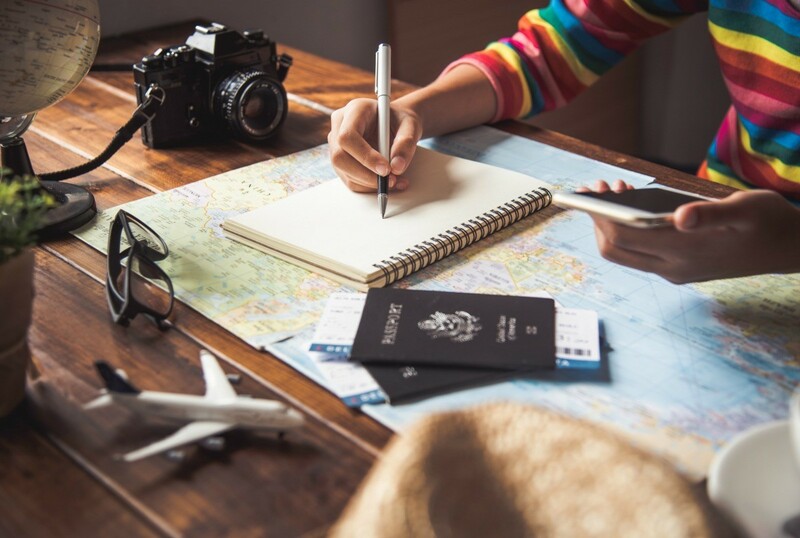 An important first step when preparing for a trip is to make an all inclusive list of things to take along with you. This list can save you time and money. This guide contains ideas and tips for making lists for traveling. Over 20 years ago, we were expecting our first grandchild. I had made a list of everything I would need to take for this trip, preparing to stay a week and help out and of course give my motherly advice to this new mom. Our daughter is a nurse. She was on duty at the hospital when she called me at the office and said, "Mom, are you ready to be a grandma? My water just broke and they are sending me up to the maternity ward." I'll never forget the excitement I felt. I dropped everything and ran and told my supervisor I had to go. In a few minutes, my husband and I were home and I grabbed my list and we started throwing things together. Within an hour, we were on the road and had a 4 hour drive to make to reach the hospital. We got there in plenty of time for the birth of our first grandchild, which was an unforgettable precious time for this grandma and grandpa. I had everything I needed. Now our 2 grandchildren are in college. My, how time has flown. 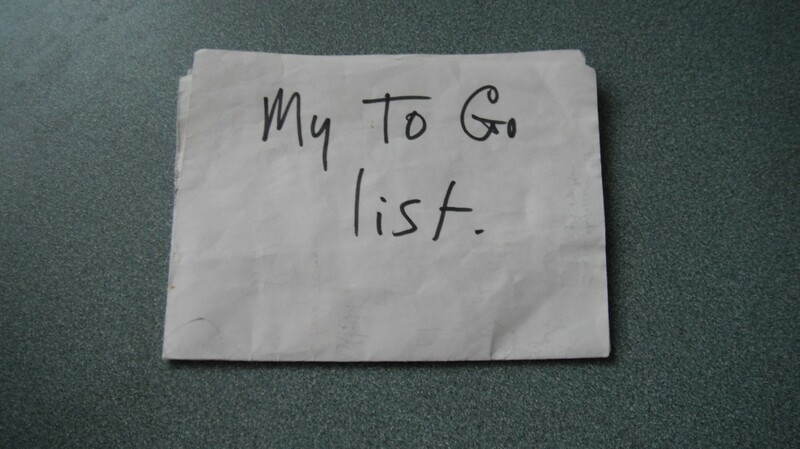 I still have the "to go list" and we pull it out every time we travel. In the past 20 years, I have added items and deleted items and retyped it when it began to show wear. One thing I know for sure; to pack for traveling, we need this list of things to take with us. My husband always says, "Are we coming back?" I don't travel a lot, but I've found that the older I get, the more stuff I need to take with me. I've got a list on my computer now that I can refer to or print out. I still managed to forget dental floss when I was house-sitting for my son a couple of weeks ago, but I found some in their bathroom. I have dental floss on my list. After going to the hospital a couple of times, I added a short hospital list: Sleep Mask, ear plugs and chap stick. I wish I could take my mattress but, that I can't do. When traveling, I avoid expensive trips to the corner store or hotel store by making sure I have packed everything I need. I have a list, on my computer, of all items I take whenever I travel. At packing time, I print out the list and cross off each item as it gets packed. The list has changed over the years and I never forget important and potentially costly necessities this way. Great minds...This is exactly what I have been doing for several years. I keep it on my computer and modify as needed. I also made it into two lists: short trip and long. By the way, my husband was born in Hamilton! (We now live in Florida--too much snow for him.) I do highly recommend the list idea. My son was an avid golfer, and in the summers we'd hit the road to attend several tournaments in a few states. I too used a computer list. It made packing so much easier. I rarely had to even think about what I was doing, I just checked things off my list. I do the computer list as well....I have it filed on the hard drive and just go to it and can modify it depending on what type and length of trip. We've traveled so much tho it seems I don't really need a list and certain things I just always leave packed. This tip is for your new recreation section. On one of our camping trips, I took the time to write down everything we had brought with us, tips about how we had packed that had worked or had not worked, and items we forgot. When we got home I saved this master list, divided into categories of where that item is typically kept at home: garage, storage building, kitchen, etc. Now when we are going to go camping, I just print our list and check off as we gather items from each area - no more running around from place to place as things come to my mind! I also bring the paper copy that we packed from with us, making note of any additions or deletions so I can update my master list when I get home. I keep most of my camping cooking items in a large clear tote. I put my silverware or plastic ware in a clear shoebox storage container. I pack clothes in a matched set in a large freezer bag(shirt, pants, underwear & socks).for each day we camp. (ALSO keeps from getting wet in shower houses) I purchased Indivial Packs to put shower items in(toothbrush,toothpaste,soap, shampoo,& whatever else a person may need in a shower house. I use a seperate tote for non-pershible foods.I freeze all meats prior to camping . works as a "ice pack" on things I can't freeze. I label my totes as camping totes and I'm ready to go in no time. I purchase my camping cookware at yard sales or where ever to use for camping only saves a lot of time. I always use gallon. quarts, and pints freezer bags to store leftover food in easily tossed out if not used again. These are also great to store sandwich meats in. Please purchase you a bread keeper for your bread to keep it from getting mashed. HAPPY CAMPING!!!!!! Have you ever left on a trip only to realize you left one or more essential items at home? Depending what is forgotten, it can possibly ruin a long planned for vacation. Here's how I make sure I never forget anything.